Isn’t that pretty? 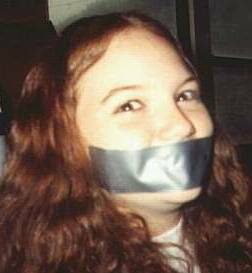 She obviously needs the gag because she has a delicious secret she can’t wait to tell. This entry was posted on Sunday, March 7th, 2004 at 12:01 pm. You can follow any responses to this entry through the RSS 2.0 feed. You can leave a response, or trackback from your own site.